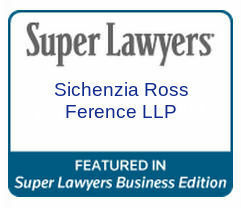 Sichenzia Ross Ference LLP (srf.law) is a leading securities and corporate law firm providing experienced, professional representation in all matters involving the securities industry, as well as in all general corporate and litigation matters. The firm has also recently added an experienced real estate and trusts & estates practice. Headquartered in New York City and with offices in Tel Aviv and Long Island, SRF’s clients range from start-ups to established, listed companies; they include institutional investors, public and private corporations, partnerships, broker-dealers, bank-affiliated broker-dealers, investment advisors, registered representatives, public and corporate customers and investors in the US and internationally. Visit the firm’s social media channels: SRF’s LinkedIn and SRF’s Twitter: @SichenziaRoss for more information.